Seems I wrote this near the end of session but never actually published it – so thought better late than never!! The 2015 Legislative Session is winding down hopefully it will end in the next week or so. This session has been trying to say the least. 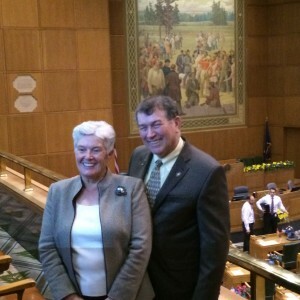 As most of you know we have one party rule here in Oregon and it has been a difficult session. Most anything the Democrats chose to do they could – and they have. Oregon has passed Paid Sick Leave, Motor Voter Driving License Registration, a Clean Fuel Act which does absolutely nothing for the State of Oregon or Clean Air – but very much for repayment of campaign contributions. Also passed have been new taxes, budgets for departments run by individuals who worked for Kitzhaber and increase in minimum wage is still on the table. The session is never over til the last gavel falls! One party rule is never good – it does not matter which party it is. Power corrupts – and if you have watched any of this Legislative Session you know that to be true. We need balance in government. When the Oregon House of Representatives was split 30/30 Oregon had great results from that session. We can’t always have equality, or fairness – but when we have imbalance like we have experienced this session Oregon is the one who suffers.